If you are like most teachers, you probably have a few professional development sessions you are participating in this summer. In order to make the most of your time during these sessions, ClassMax is sharing a few meaningful ways to spend your time during summer PD. We explored networking in our post earlier this week, and today we shift the focus back to our classrooms. Most professional development sessions have downtime built into them – some by design and some because of poor planning. Whatever type of PD you are attending this summer, utilize that down time! You’re already showered, dressed, and working for the day. You might as well make the most of all your time to save you some time when the school year starts. One of the ways you can make the most of the downtime during summer PD is to begin setting up (or cleaning up) your ClassMax account from the year before. If you are lucky enough to have already gotten your rosters for next year, use this time during summer PD to load in your students to your ClassMax dashboard. To do this, you will first need to clear out any classes from last year by going to the SETTING icon on the sidebar. From here, you’ll select PERIODS. Next to the class periods you are deleting, select the little trash can. You will receive a pop up message that asks you to confirm that you want to delete the period. Confirm your decision, and the class will be removed. If you make a mistake, you can select REVERT CHANGES from the bottom of the screen to undo your deleted action. Or, if you are ready to move ahead, be sure to select SAVE CHANGES in order for your deleted class period to disappear. When your classes from last year have been deleted, you can start adding your new classes for this year by selecting the green arrow at the top of the PERIODS tab under SETTINGS. Once your class is created for your new school year, go back to your ClassMax dashboard and begin uploading or inputting your students. To load students, select one of your classes and in the bottom right corner of the dashboard, select the plus sign. From here, you have two options. You can manually enter students one at a time or you can bulk upload from a spreadsheet. To bulk upload, you’ll need to select the IMPORT STUDENTS button at the top of the student profile. From the next screen, dropdown the instructions menu and download the spreadsheet template. In the template itself, you can get directions for each column by selecting the INSTRUCTIONS tab at the bottom of the spreadsheet. 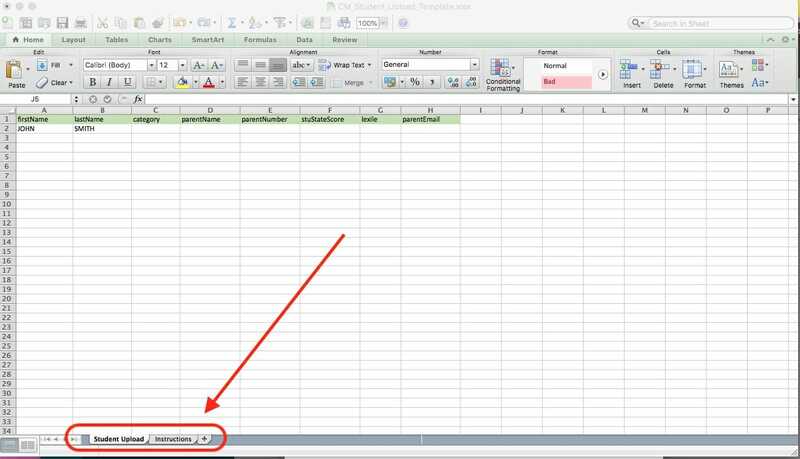 Follow these instructions to complete your spreadsheet, but remember that you don’t have to have anything other than a name, really. If you happen to have all the other information to load already, go for it. But you could just use a name and be good to go, too. Once you have saved your spreadsheet to your desktop, you need to go back to the IMPORT box and you can simply drag and drop your spreadsheet file from your desktop. And – voila! – your students will populate onto the class where you uploaded them! It shouldn’t take more than 5 minutes to get a class loaded and uploaded into your class period. Perfect for that PD downtime that you don’t want to waste! If you’re going to spend your summer days in professional development, you might as well have a few little odds and ends set aside to complete during the downtime, like getting your class periods all set up for next year on ClassMax! Join us later this week as we take a look at other tips and tricks for maximizing your success during professional development. Also, don’t forget to check out our crazy summer sale taking place right now! ClassMax is social! Follow along on Facebook, Pinterest, Twitter, and Instagram! 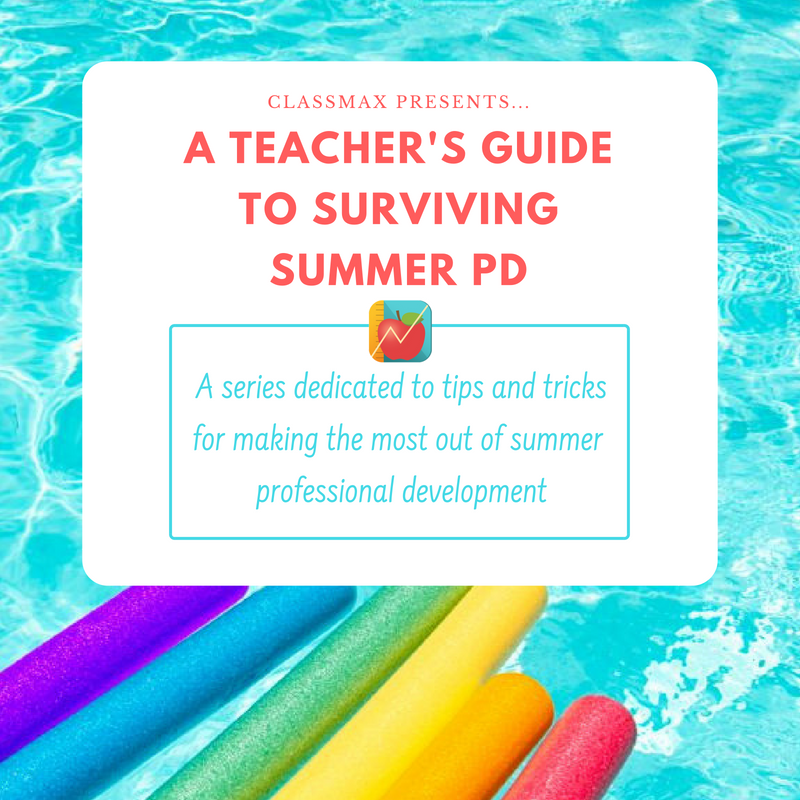 This entry was posted in A Teacher's Guide to Surviving Summer PD, Account Set Up, General Information, Teacher Life and tagged ClassMax.